Lim, M, & Nugroho, Y. (Yanuar). (2011). 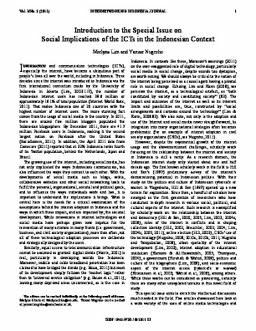 Introduction to the special issue on social implications of the ICTS in the Indonesian context. Internetworking Indonesia Journal, 3(2), 1–3.